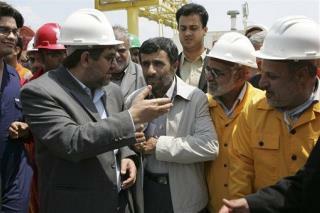 (Newser) – Iranian oil platforms' communication networks have been hit with an attempted cyberattack—but the country's tech experts have managed to deflect it, says an official. "This attack was planned by the regime occupying Jerusalem"—not-so-subtle code for Israel—"and a few other countries," says the Iranian Offshore Oil Company's information technology head. Yeah, maybe they stopped it...if it even really happened. No one in power in Iran could tell the truth unless they thought they were lying about it. Wait for it..... Hillary will soon take credit for the attempt, and then tell Iran (through the media) exactly how it was done.